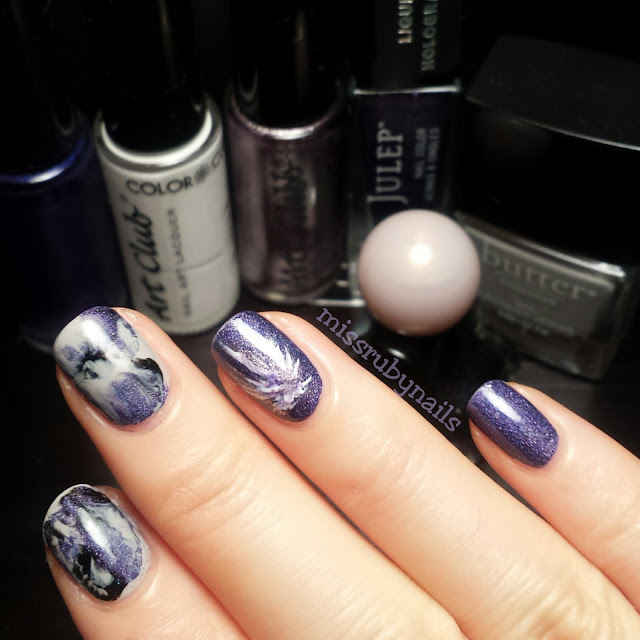 I am in love this this purple holographic polish by Julep! The name of the polish is Delores. 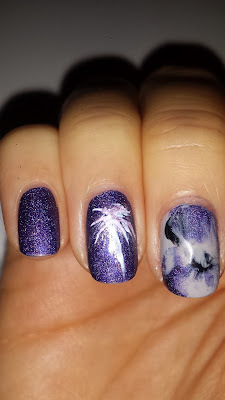 Click HERE for a video to see how holo this looks! 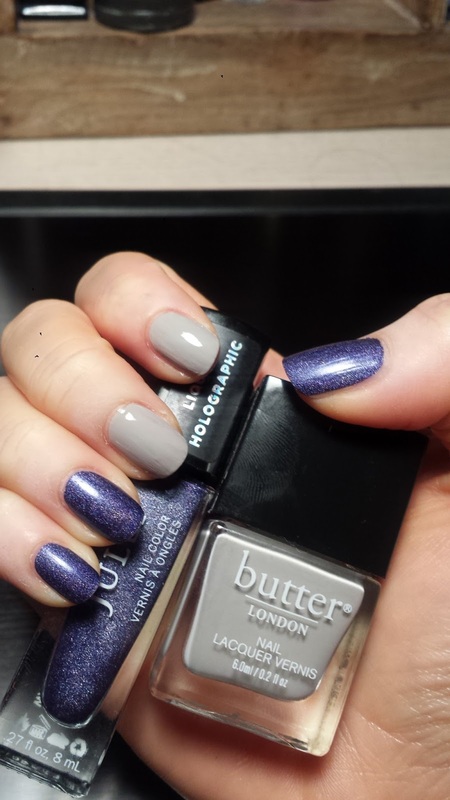 On the 2nd and 3rd finger nails, I used a grey color by Butter London as the base. 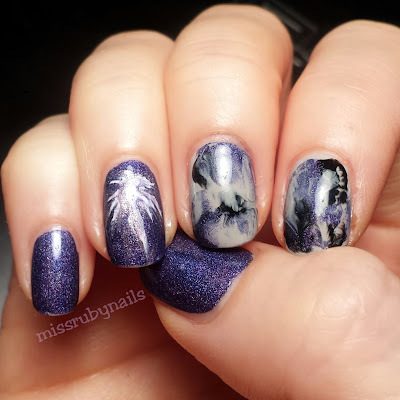 I used 3 colors (black, purple and grey mentioned above) to make drops on the nail and quickly put a piece of plastic on top and pressed on it gently while everything was still wet. 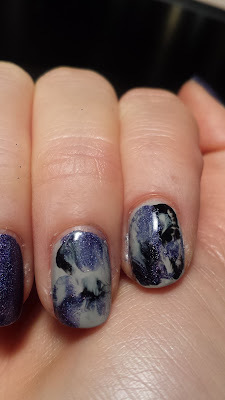 You can repeat this step if you didn't get the marble swirl effect you wanted. 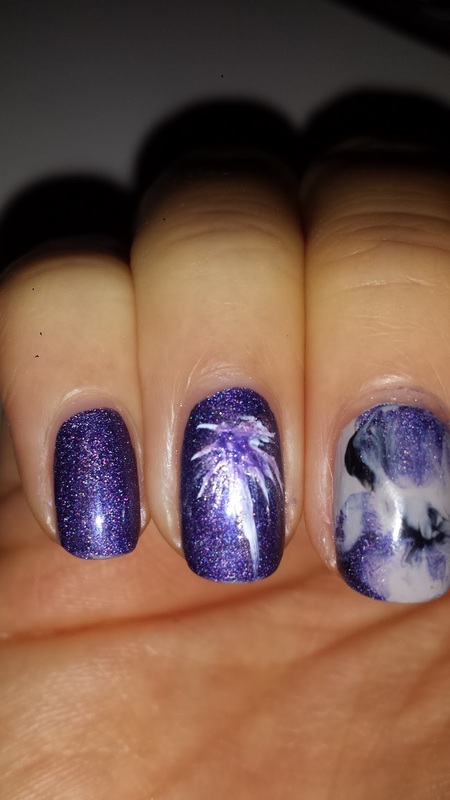 On the 4th nail, I used my white nail striper to draw the fireworks. Then I repeated with 2 other shades of purple. 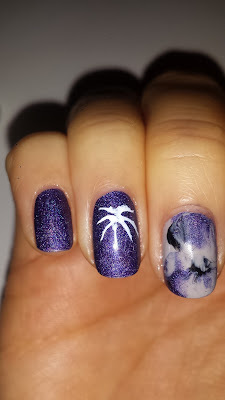 I made these lines randomly and it is OK to make it a little messy!